Easy to use, easy to learn — Vuo has video tutorials, built-in example compositions, and extensive documentation to get you started, with special tips for QC users. Vuo is built by the same team of avid Quartz Composer users that developed Kineme plugins. If you use Kineme plug-ins, then you know we've spent years expanding what you can do with Quartz Composer.
" I haven't had such a great time with any framework/library/visual programming system since originally starting to use QC. Vuo is already much better than QC in several ways." "I just moved over from Quartz Composer and loving VUO, fascinating little program. Well done!" We're designing Vuo to do more. ability to export your composition to stand-alone apps with a single click (no need to learn how to use Xcode just to make your composition into an app). Recreates the functionality of Kineme's QuartzBuilder. high-quality offline movie rendering with antialiasing and motion blur, and realtime movie recording. Recreates the functionality of Kineme QuartzCrystal. load and manipulate a wide variety of 3D meshes (recreates the functionality of Kineme 3D), creating real 3D scenegraphs with hierarchical transformations — you can build complex 3D scenes that behave realistically. built-in 3D perspective and orthographic cameras, with variable field of view, which can easily follow objects through the scene (no trigonometry required; we took care of it). built-in support for rendering to multiple windows. projection warping. Recreates the functionality of Kineme PBMesh. 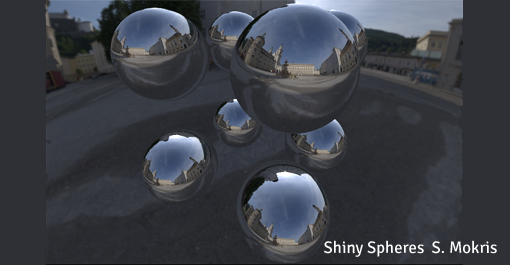 modern shader-based OpenGL implementation — giving you better performance (and eventual support for mobile devices). automatically generated parallel code — your composition takes advantage of your computer's multiple processors. a first-class API for creating nodes and port types — you have full, documented support for making nodes and port types. includes source code for all nodes, types, and the compiler — you can learn how it works, make improvements, and have security in the long term. built-in support for Leap Motion, Kinect, Syphon, Art-Net stage lighting (recreates the functionality of Kineme Art-Net Tools) and serial devices (recreates the functionality of Kineme Serial Tools).